As the sun appeared from behind the clouds at the weekend, I grabbed my camera and shot out for a spot of Style Stalking! I snapped this rather brave lil lady in her leather skirt and rock chick tee as she braved the temperatures, looking very stylish at that!! 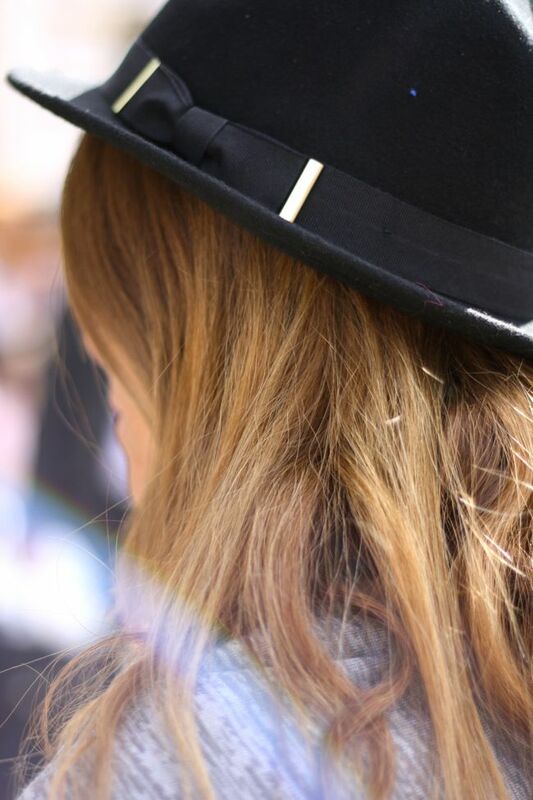 I am obsessed with trilby's at the moment and am on the search for one just as cool! Sophia got hers from Argentina where she originates from, I love the vintage look to it! Teamed with a rock chick tee, leather skirt and biker boots you can't get better can you!! I love her style very cool! She is very cute! Looks very spanish! By the way what camera do you use? great pics? I love the gold accent on the hat. Well styled! She looks very cool ! I love this rock tshirt. And combination with skirt is great!